Liquidity Network: Payment system, more efficient than Lightning/Raiden technology? Despite their potential, existing block- chains such as Bitcoin and Ethereum can only process ten’s of transactions per second — comparable mainstream payment systems process over thousand transactions per second. Off-chain payment channels have been proposed to substantially increase the blockchain’s transaction processing capabilities. Typical off-chain channels, however, face several limitations: they are economically broken due to substantial rigid deposits, expensive channel establishment, no off-chain payment channel rebalancing, complex routing structures, etc. The Liquidity Network is a non-custodial, blockchain settlement system supporting off-chain payments(e.g. Ether/ERC20). The Liquidity Network is operational under https://wallet.liquidity.networkand supports millions of users securely, reducing transaction costs significantly and enabling the mainstream adoption of the blockchain. Liquidity is trustless, does not require rigid funds to be locked up, supports off-chain rebalancing, easy routing, and free channel establishment. The Liquidity Ecosystem stems from a symbiosis between their two novel innovations: the Liquidity Hub and REVIVE. The Liquidity Exchange is designed to not hold any funds (non-custodial) while performing atomic swaps off-chain. As such the exchange is resistant to blockchain congestion and excessive transaction fees. Scalable to centralized exchange throughput and beyond. The design of the Liquidity Network and Exchange is centered around the notion of universal hubs. As such, a user that is joining a hub can transact his funds with any other member of the hub, instantly, off-chain and therefore at significantly lower costs than regular on-chain transactions. The hub architecture is novel because funds are no longer locked between only two users, but accessible to thousands of other users on the same hub. At the same time, the funds are secured by the blockchain, other users can’t steal another user’s allocated funds. Lightning technology is not appropriate to build a hub, because the hub would need to open an excessive amount of payment channels. More details can be found on their Stanford BPASE Talk. Important: The tokens will be sold in a Dutch Auction. To join the main sale, every contributor must first join the Whitelist through joining their Telegram channel http://t.me/liquiditynetworkand registering an Ethereum address with their chatbot, @BIGwig_bot. The Liquidity Network ICO have a fairly high hard cap of $27 million. It’s also doing a Dutch Auction for it’s public-sale, which seems to have mixed feelings from the Crypto community. Other ICO’s have tried this method of fundraising but without great response. For those who don’t know a Dutch Auction in where the seller gradually lowers the price from high initial value to low until the first moment when some bidder accepts and pays the current price. That bidder wins the object. These auctions are called Dutch auctions because flowers have long been sold in the Netherlands using this procedure. The problem with a sliding scale auction like this is that investors can end up paying more than what the token is worth or by waiting for the price to lower you can miss out on getting the tokens because of multiple people bidding for the lower price which has a lower supply. 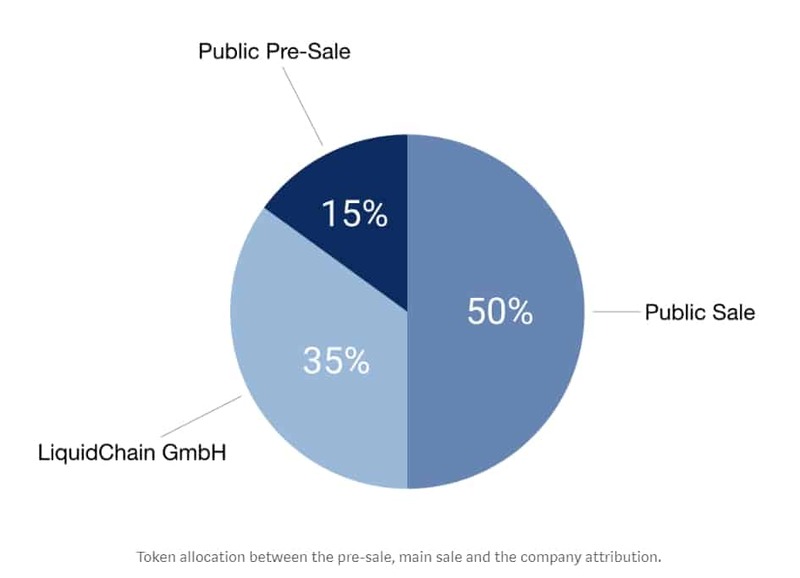 The Pre-Sale sold 31% of the total cap (nearly $8.5 million) which isn’t great but isn’t terrible, so it’s hard to say if this style is hugely successful. On the website, they are only showing 2 members (the founders) of the ‘apparently’ over 10 members covering development, legal, marketing, public relations, business development. They say that because of the blockchain hiring environment is very competitive, they will only gradually disclose team members. We believe transparency and knowledge of the team are more important than worrying that another ICO will steal their team. It’s great having a unique idea, but if you haven’t got the team to execute this, why would I invest? I think they have made a huge error in not disclosing their team member & advisors, they either have a hugely amazing & stellar team or they are fairly inexperienced which is why they aren’t made public, you decide! Arthur Gervais (Founder)—Arthur obtained his Ph.D. from ETH Zurich on the topic of blockchain security. Co-founder of the smart contract formal verification tool securify.ch. Personal site arthurgervais.com and academic papers. Rami Khalil (Founder) — Rami is about to obtain his Master from ETH Zurich. Inventor of REVIVE, the first decentralized protocol to rebalance payment channels without on-chain transactions. Considering they don’t seem to have a bounty program they seem to have a good enough following on Telegram. There are so many ICO’s with 50k plus members, most of which are fake accounts and bots to create hype, so it’s good to see Liquidity Network hasn’t gone down this road. Also, Twitter is fairly active from the team with regular updates. Vitalik Buterin seems to like the look of Liquidity Network (he may even be an Advisor) as he retweeted one of their posts saying “Looking forward to seeing this go live!” That’s pretty big coming from the co-founder of Ethereum! As a whole, I believe that Liquidity Network ICO is legitimately trying to overcome some common issues in the Crypto sphere. If Vitalik Buterin is truly bullish on this, then it has some good possibilities for succeeding! The only issue I have is the lack of transparency with showing the team members & advisors also the Dutch auction style isn’t really one for me, I don’t like having to fight for an investment and end up getting a worse deal than others. Despite all this, I am quite excited to see what happens over the coming months and if the auction sale will be a hit with the community. Only time will tell, ICO starts on the 14th June 2018.